Our famous Moliets Surf Camp in the vibrant town of Moliets-Plage offers you the perfect mixture of surfing and living the good life. 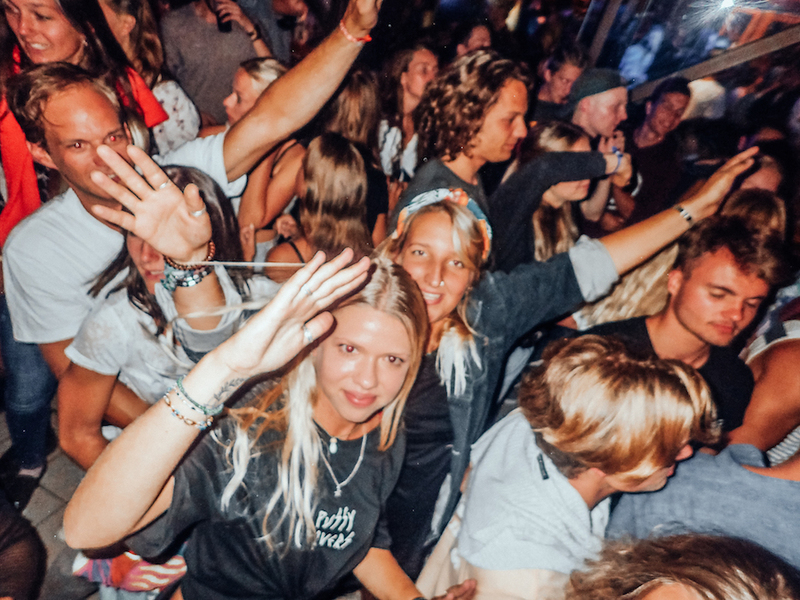 If you’re ready for an unforgettable summer surfing holiday, to surf all day, party all night &amp; make new friends, our Moliets Surf Camp is definitely the place for you! Star Surf Camps are the only international surf camp in Moliets and we are proud to host surfers from all over the world! Our Moliets Surf Camp is great for single travellers, students, both small and large groups and anyone looking for as much excitement out of the water as in it! Be prepared for your summer to be exciting because you’re going to Star Surf Camps’ Moliets Surf Camp! 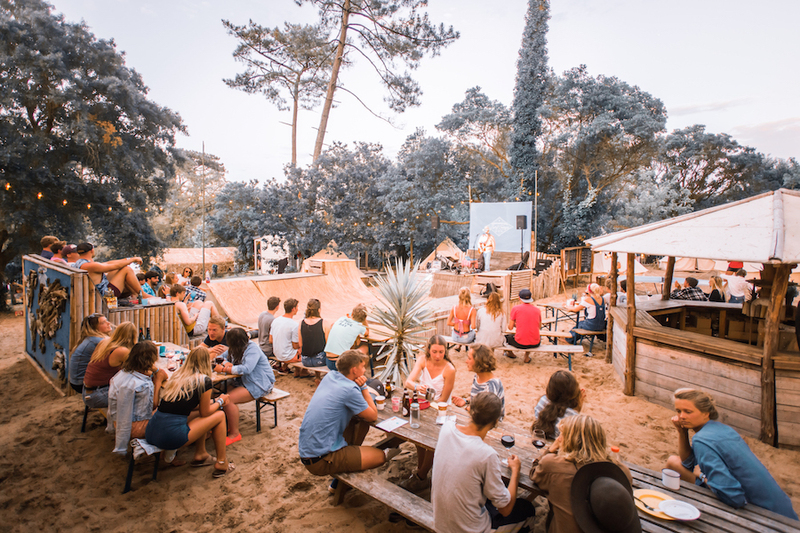 Our original & famous Moliets Surf Camp is pitched in the beautiful pine forests of Southwest France with the beach and town centre of Moliets-Plage just outside of our campsite. The wave conditions around Moliets-Plage are great for everyone either learning to surf or wanting to improve their existing surf skills. And with our qualified team of international surf instructors, you can be sure to be in good hands & learning from the best. 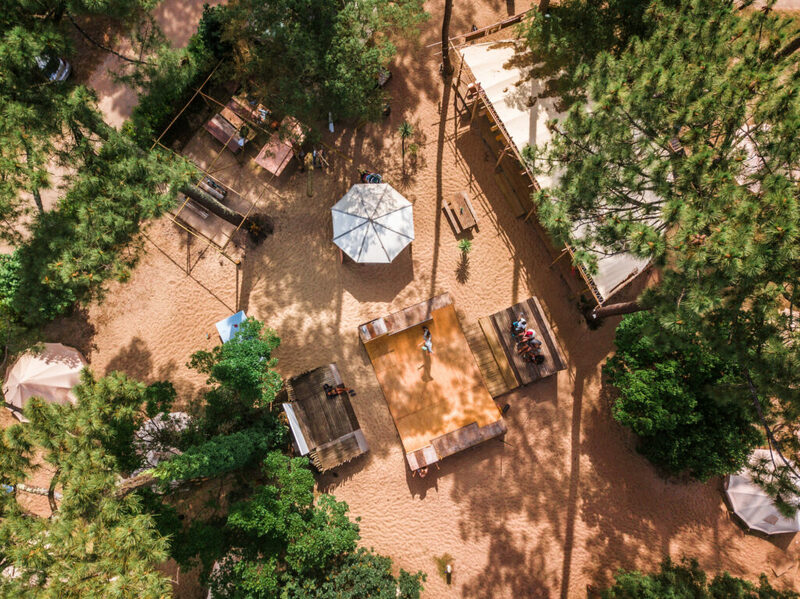 After a hot day on the beach surfing and sunbathing, our Moliets Surf Camp has several chill-out areas with hammocks and sun loungers for you to hang out in with your friends and meet other surf camp guests from all across Europe. Star Surf Camps are the only international surf camp in Moliets and we are proud to host surfers and surf holiday makers from all over the world. Made up of stylish bell tents, a large shaded eating area, a skate ramp, a brand new three-tier outdoor cinema arena and tiki bar, multiple chill-out areas with hammocks and sun loungers, surf equipment and storage tents, a surf theory shack and enough coloured lights to turn the night into day, we’re prepared to make your surf holiday with us LEGEN… wait for it… DARY! We’ve also got table tennis, balance trainers, skate- and longboards for you and many other things to keep you stoked, entertained and smiling during your surfing holidays. 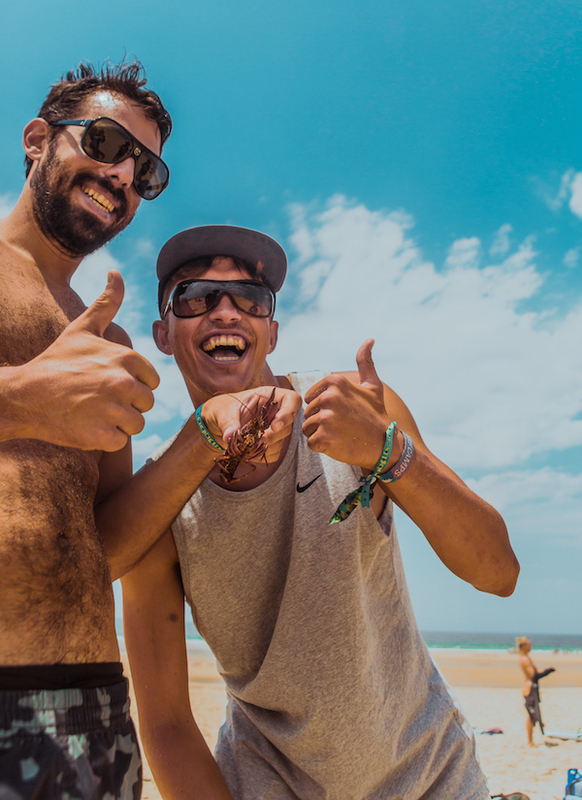 We’ll definitely welcome you to our Moliets Surf Camp in style and give you many, many fantastic opportunities to mix and mingle with other surfers and surf holiday guests in- and outside the surf camp! On top of that, we’ve got awesome live music events and open mic nights, our legendary Pub Quizzes and fancy dress flunky ball tournaments, a traditionally French wine & cheese night as well as a starlit outdoor surf movie night. We’ll also take you on a night out on the town in Moliets’ local bars and show you the most beautiful sunsets you’ve ever seen with music and drinks and the beach. During your surf camp holidays in Moliets with Star Surf Camps, you’re staying in our beautiful bell tents. 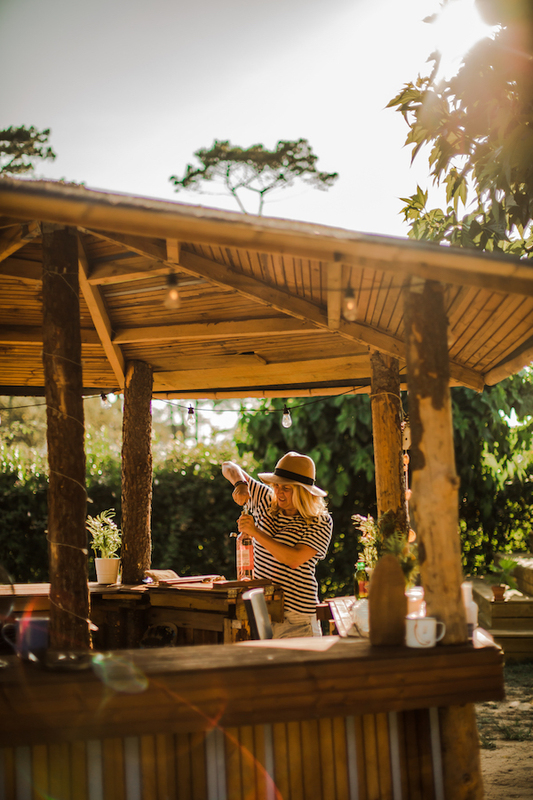 Sharing these amazing tipis with a maximum of just 2 other surf camp guests means that your surfing holiday accommodation provides you with ample space and is the perfect home away from home. And better still, we’re also providing you with the very best memory foam mattresses available: allergy free, high density, super comfy and guaranteed to give you a great night’s sleep after a brilliant day surfing. All you need to bring is your a pillow, a sleeping bag or bedding and a smile. Joining us with your best friend or significant other? Then how about some more quality time and privacy on your surfing holidays in our private tents for just 35€ pp/week (high season: 50€ pp/week) and get one of our beautiful bell tents all to yourselves. Our private tents are the same large 8-man tipis and come with our high quality mattresses, either as two singles or one double, and simply make the perfect surf holiday hideaway for two. The image below shows our private tents with two single mattresses and bedding. You can borrow bedding for just 25€/week on your surfing holidays. For your six surf camp breakfasts, we provide you with a delicious breakfast buffet that includes a variation of tea, coffee, juices, milk, cereals, honey, jam, fresh and crispy traditional French baguette, a large selection of cheeses, hams, salamis and other spreads. We also provide fresh fruits, tasty croissants, sweet and savoury crêpes and other delicious baked treats. You also get to take whatever you can’t try in the mornings as a picnic lunch for your day out surfing. On four nights of your surf holiday week in our Moliets Surf Camp, we serve you a hearty dinner with variations of desserts. On a fifth evening, we celebrate the French culture with our traditional Wine & Cheese night — definitely one of our surf camp week highlights. We love a good BBQ here at Star Surf Camps so, once a week, we get the coals burning and the summer vibes flowing for our delicious tarp surfing BBQ feast. 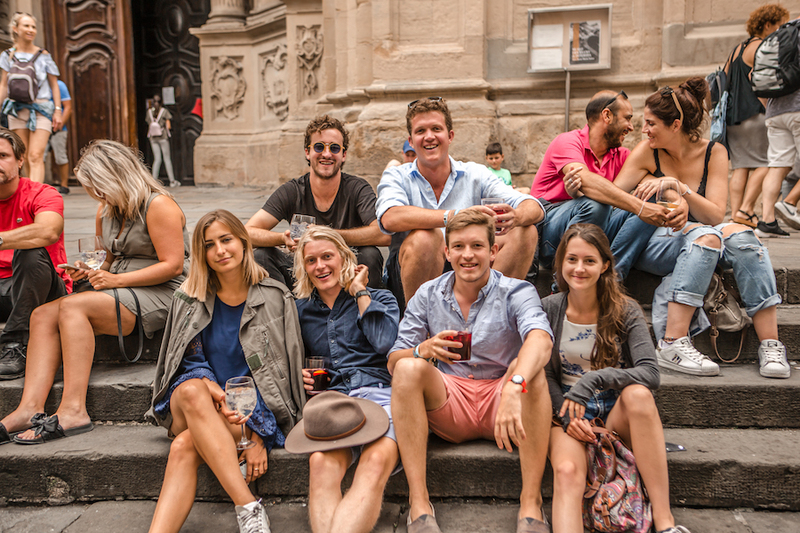 Twice a week, we take you away from the surf camp to two of Europe’s most famous culinary cities — to Biarritz where you have the chance to enjoy some traditional french Cuisine and to San Sebastián for Spanish tapas and pintxos. Both day trips are among the social highlights of your surf camp week in Moliets and not to be missed! For a little snack during the day, we also have our on-site snack shack for ice creams, snacks, cold drinks, chocolate bars and other little treats that will keep you going on all of your sunny Moliets Surf Camp days. Vegetarian and vegan options are available upon request. If you have any allergies or other dietary requirements, you can tell us during the booking process. We’re happy to cater for your needs on your surf holiday with Star Surf Camps. Please note that we do not serve breakfasts on Saturdays due to early departures and late arrivals on change-over days. Thank you. Learn to surf in perfect beginner waves! At Star Surf Camps, we are renowned for our enthusiastic, professional and fun approach to teaching surfing. Our international surf team of professional surf instructors doesn’t simply watch you from the beach, but gets in the water with you to help you catch the best waves. With our most popular Moliets Surf Package, you receive 12 hours of surf tuition every week. This includes plenty of time surfing the amazing waves of Moliets-Plage, the beach just outside the campsite. On top of that, we include sessions on water safety and ocean currents to ensure you’re safe when in the water with us and when surfing on your own. The maximum group size for each surf lesson is eight surfers per one to two surf instructors. All our surf coaches are professional, experienced, fully-licensed and qualified plus have a lifeguard qualification. The surf equipment (surfboards, leashes and wetsuits) is free to use within the surf lessons and free to use upon availability outside of them. You would like to spend more time surfing on your surf holidays in Moliets and fancy surfing uncrowded waves together with our team during sunset surf sessions? Not a problem! 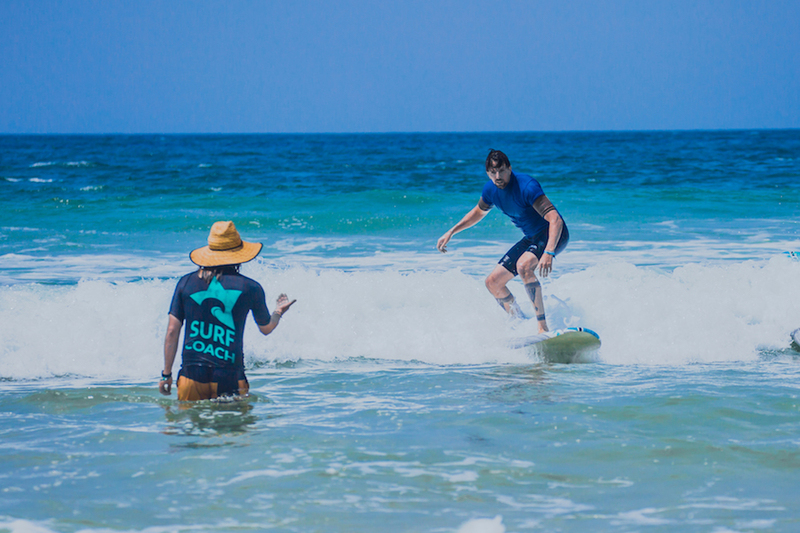 Choose our Surf Lesson Upgrade and get an additional 4 hours of surf tuition. Beat the crowds during morning and sunset surf sessions together with our expert surf team. Suited to both surf beginners and intermediate surfers, our surf lesson upgrade gets you more personal time with your surf instructor to improve your surfing. Strengthen Your Body & Revitalize Your Mind! All over the world, yoga has swept surfers off their feet with all professional surfers using yoga to improve their flexibility, core strength and surfing performance. So, if after a long surf camp day surfing you feel like you could do with some stretching, yoga is a fantastic way to improve your flexibility and to strengthen your body. New to our Moliets surf camp this year are our Surf Yoga Sessions, included in all our Moliets Surf Holiday Packages. For those of you who have never done yoga before, your group session is a fun and informal introduction to surf yoga. For all experienced yogis joining Star Surf Camps in Moliets, your group yoga session will focus upon how yoga can compliment your surfing. 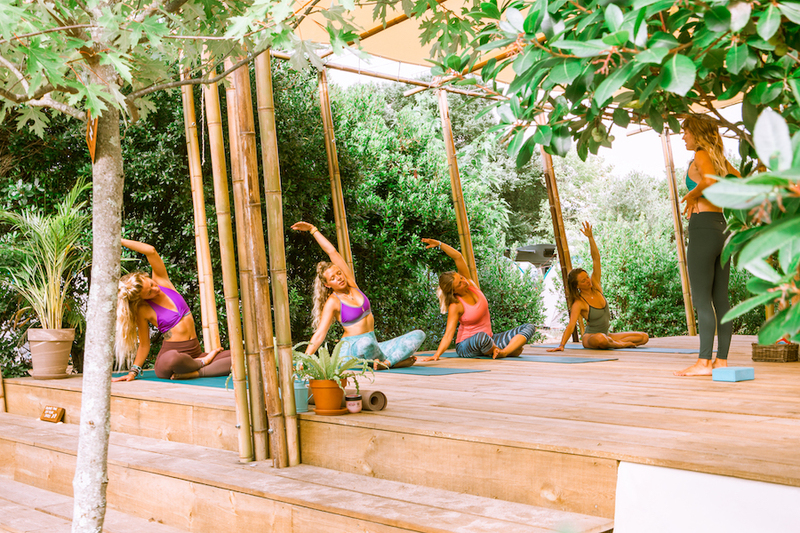 If you’d like to do more yoga on your surf holidays and join our yoga instructors for some inspiring sunset yoga sessions in our Moliets Surf Camp or on the beach, then choose our yoga upgrade. Our enthusiastic and professional yoga instructors in Moliets make their sessions fun and accessible to ‘yogis’ of all levels. We all love nothing more than the laid-back surfing lifestyle. The feeling of the sun kissing your wet skin after you’ve nailed your last wave of your surf session is simply priceless. But once or twice a week, we do fancy washing off the sand and salt to put on our glad rags and hit the road. Just 20 kilometres south of the French border, along the crystal clear coast of the beautiful Bay of Biscay, lies the vibrant city of San Sebastián. The gorgeous harbour, lively city centre and grand Spanish plazas give the city a glamorous and sophisticated atmosphere by day, while uncountable busy tapas bars and numerous energetic night clubs make for its flirtatious and crazy vibe at night. Join Star Surf Camps on our fantastic day trip away from the surf to this city we’re sure you’ll be falling in love with! Leaving our Moliets Surf Camp after your surf lessons, we start our San Sebastián day trip in the afternoon with cool sangrias, delicious tapas and a tour around the old part of town and its bars. Once in San Sebastián, you have enough free time to explore the city on your own, go shopping, stroll through the quaint, little streets or see the stunning cathedral before we make our way up gorgeous Monte Urgull. Overlooking San Sebastián’s breathtaking bay, the top of this hill makes for the ultimate starting point to a perfect night out! With a drink in your hand and a big smile on your face, watch an incredible sunset and get ready to hit the bars, nightclubs and to party all night long! 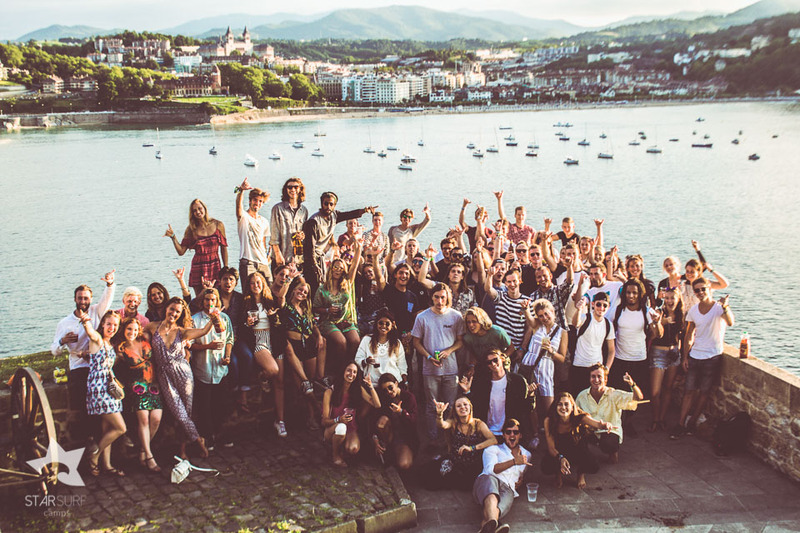 In other words, it’s as easy as this: San Sebastián’s Spanish flair and great summer vibes together with our awesome Star Surf Camps atmosphere make our trip here an absolute must-do and certainly an adventure not to miss out on! Biarritz, without a doubt, is one of the most beautiful cities in Europe. That’s why locals often call the city “the Queen of the Basque country”. What sets Biarritz apart from the hundreds of other beautiful European coastal hot spots is that its beauty and charm are far from skin deep, as the city is steeped in rich culture and historical relevance with particular reference to the surfing world. It was actually on these very beaches that the first waves in Europe were surfed when a Californian filmmaker called for his surfboard to be shipped out all the way to France after seeing the beauty and the waves on offer. Since then this city has been on an even keel of surf and sophistication. Where else do you find a bond like casino on the beach serving up trendy cocktails as its patrons watch over the surfers and waves almost lapping up to the baccarat table? The best thing about our Biarritz Day Trip is that there is so much to see and do, so much of this chic town to sample that will cost you next to nothing. We start our tour at the infamous lighthouse with panoramic views across the city and neighbouring beaches. Our walking tour will take you along the pristine coastline, across pedestrian bridges to tiny islands, among art installations and statues, through stained glass churches past our favourite ice cream parlours and will certainly end at a lively watering hole usually accompanied with live music. Et voila! 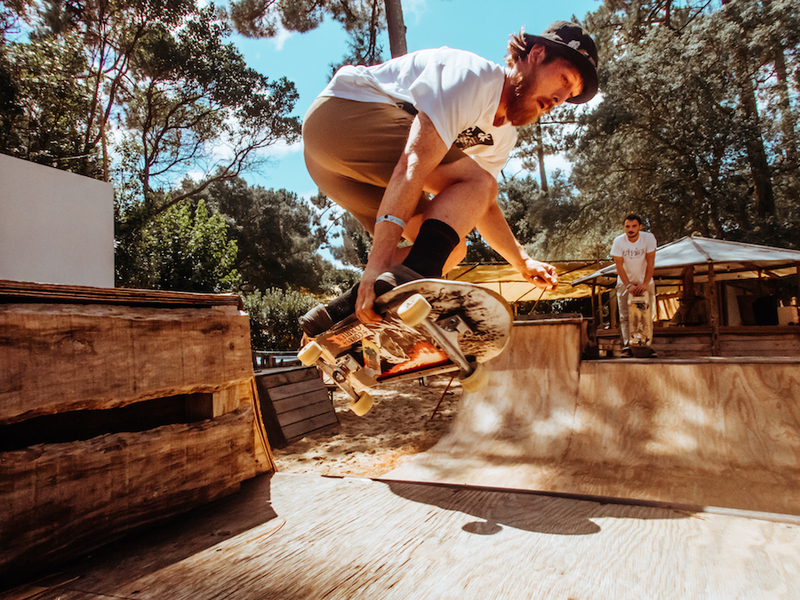 If you’re still looking for more action on your Moliets surfing holidays, our Star Surf Camps Moliets Team is on-site and can arrange for you to go paintballing, hit the trees in a nearby high ropes course or go explore the Southwest of France on horseback. Besides, from beach games, volleyball and table tennis tournaments to slip’n’slide and skate competitions, our fun-loving Moliets Surf Camp Team is always up for all sorts of spontaneous entertainment ideas you and your friends come up with. 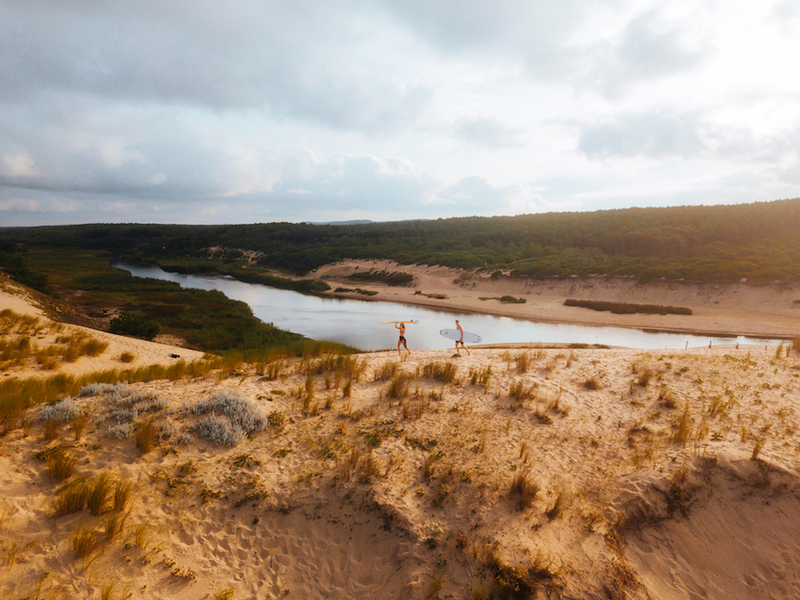 With Star Surf Camps, you’re right in the middle of everything! Our famous Moliets Surf Camp is located in the vibrant town of Moliets-Plage on the southwest coast of France. Just north of Hossegor, Europe’s surfing capital, Moliets is close to the Basque Country and northern Spain. Moliets is internationally known for its incredible waves, great summer vibes and awesome night life – the perfect formula for a fantastic and unforgettable surfing holiday. With white beaches, great waves, lots of hammock chilling in the blazing sunshine and glorious nights out in Moliets and San Sebastián, expect your surfing holidays with Star Surf Camps to be exciting! Our Moliets Surf Camp is part of a bigger campsite that plays host to other surf camps and surfing holiday makers. It is equipped with numerous bathroom and shower facilities, sinks and mirrors that are available 24/7. On this campsite, you’ll also find tennis, volleyball, football and basketball courts, all to use for free. And, saving the best for last, the beach and town centre of Moliets-Plage are literally just a short walk or skate ride away. Bliss! How to get to Star Surf Camps’ Moliets Surf Camp? 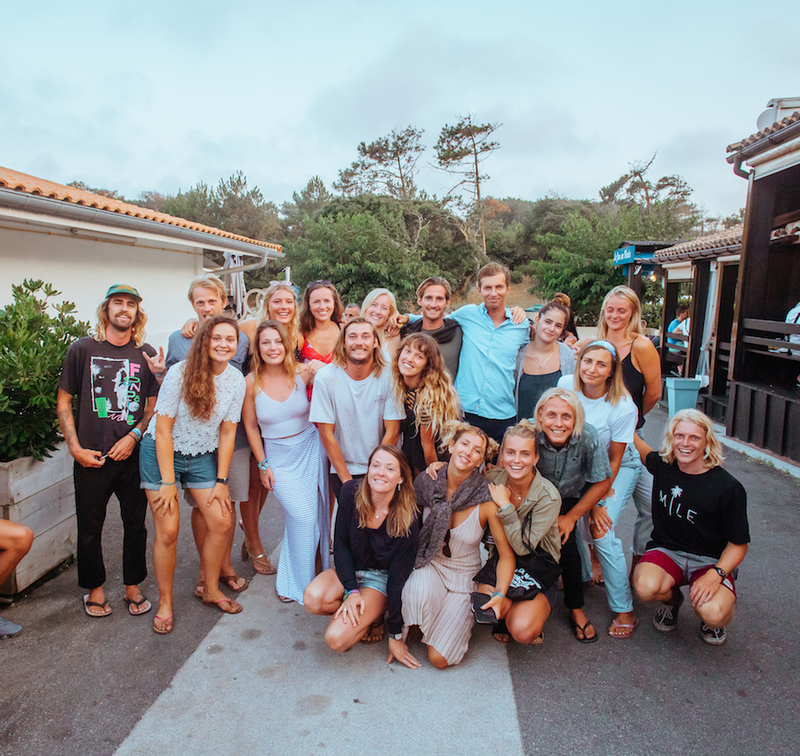 In our Moliets Surf Camp, the arrival/ departure day is Saturday when we run surf camp shuttles and transfers to and from Biarritz airport, Biarritz train station and Dax train station, San Sébastian and Bordeaux. Please note that shuttle times might vary each surf camp week as we try to adjust our weekly surf camp shuttle schedule to accommodate all surf holiday guests’ arrival and departure times as best as we can. Please also note that, should you wish to arrive/ leave our Moliets Surf Camp on any other day than Saturday, a 20€ surcharge per transfer applies. This excludes transfers from Bordeaux. Thank you. We can organise your long-distance coach travel to our Moliets surf camp from all over Europe through our partner company! Simply contact us & we’ll do the hard work for you! This can be combined with our Surf Camp Shuttle Service. Alternatively, both Eurolines and Flixbus offer cheap long-distance coach travel options to France from pretty much anywhere in Europe. Cheap international rail fares can be found here. This can be combined with our Moliets Surf Camp Shuttle Service. You’re flying to our surf camp in Moliets this summer? Fantastic! Below is a list of European airports that offer direct flights on Saturdays to Bordeaux and Biarritz from where our surf camp shuttle will pick you up. your phone or camera to take lots if pics of your surf holiday week. Please note that France charges a ‘Taxe de Sejour’ or tourist tax of 0.66€ per pax/night. This tax is not included in your surf holiday package price and is to be paid in cash upon arrival in the surf camp. Children under 18 are exempt from the tax. Thank you. Should you wish to travel light and leave your sleeping bag at home, you can borrow bedding for just 25€ per surf holiday week in our Moliets Surf Camp. … single travellers, students, both small and large groups and for anyone looking for as much excitement out of the water as in it! … you can pick up the phone to call or text us, send us a message on our live chat, Facebook messenger or email us. When can I surf with Star Surf Camps in Moliets this summer? Yes, we do. If you have any allergies or other dietary requirements, you can tell us during the booking process. Vegetarian and vegan options are available upon request and we are happy to cater for your needs on your surf holidays with Star Surf Camps. How do I get to your surf camp in Moliets by public transport? -Take the XL'R Bus from Dax Train Station to Soustons. Then take Yego Bus Line 3 to go from Soustons to Moliets. - From Biarritz Airport, walk to the train station (20 minutes). Then take a train to St-Vincent-de-Tyrosse, Bus Line 2 to Soustons and Bus Line 3 to Moliets. This route is about 3 and half hours long. - Take a taxi or shuttle bus to the SNCF Train Station (shuttles leave every 20 minutes and cost 5€) to take a train to Dax (every hour). Then take Bus Line 2 to Soustons and Bus Line 3 to Moliets. Can I only arrive on Saturdays in the surf camp in Moliets? 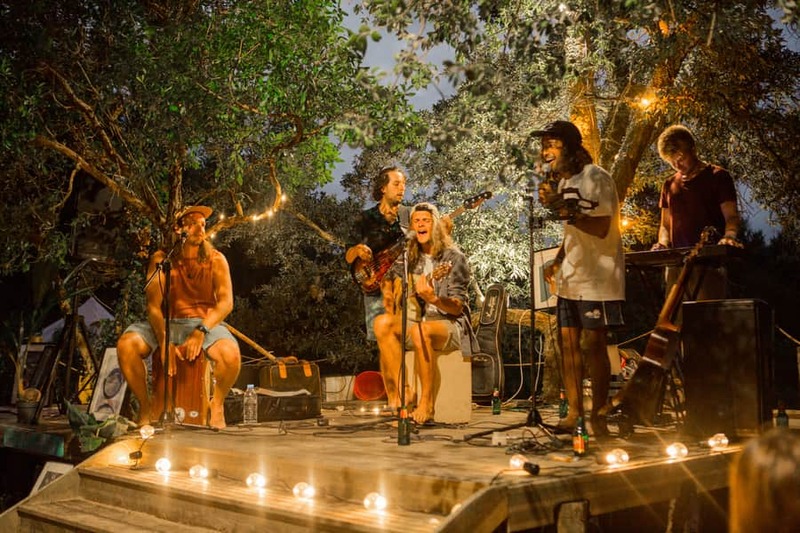 We recommend you arrive in our Moliets Surf Camp on a Saturday, because that's when our surf camp week schedule starts and we really wouldn't want you to miss any of our amazing welcome entertainment. If you cannot get to the surf camp on a Saturday, we recommend you arrive on Sunday morning at the latest, so you don't miss your very first surf lesson in the afternoon. Can I stay longer in your Moliets Surf Camp? One or two extra days maybe? Staying for a few extra days in our Moliets Surf Camp is generally not a problem, especially not during low season. Simply speak to one of our surf travel experts in advance, so we can make arrangements for you in our surf camp and let our surf team know! Do I need to bring my own surf equipment? No, you don't. The use of all surf equipment (wetsuit, leash & surfboard) is included in- and outside of surf lesson time when you book our most popular surf holiday package, SURF & RELAX. Unfortunately, we don’t have enough equipment to cater for everyone to surf at the same time. However, we have rotating surf lessons which leaves plenty of gear to go around. Yes, we can supply bedding for those who do not wish to travel with a pillow and sleeping bag. Please let our booking team know you'd like to add bedding when booking. What do I need to bring on my surf holiday in your Moliets Surf Camp? Please also note that France charges a 'Taxe de Sejour’ or tourist tax of 0.66€ per pax/night. This tax is not included in your surf holiday package price and is to be paid in cash upon arrival in the surf camp. Children under 18 are exempt from the tax. Thank you. But of course, yes! Our surf camp tents are big enough to keep your own surf equipment in should you wish to bring it. Flight operators usually charge additional luggage fees for taking surfboards, so please check with your flight operator's Large Sports Luggage policy before arriving at the airport to avoid costly fees. Does it makes sense to rent a car? You certainly don't need a car when on surfing holidays in our Moliets Surf Camp. If you are bringing your own surfboard and plan to free surf along France's southwest coast, we do recommend you hire a car. Some public transport companies may also refuse to take large sports equipment on busy routes. There are rental car companies in each airport. However, booking in advance is often much cheaper. Where can I park a car? In Moliets, there is free parking outside of our campsite. Should you wish to bring your car onto the campsite, you will need to pay a small fee directly to the campsite at reception. Low season fee: 1.50€/night; High season fee: 2.50€/night). I'm thinking about travelling on my own. Will I have to share a tent? 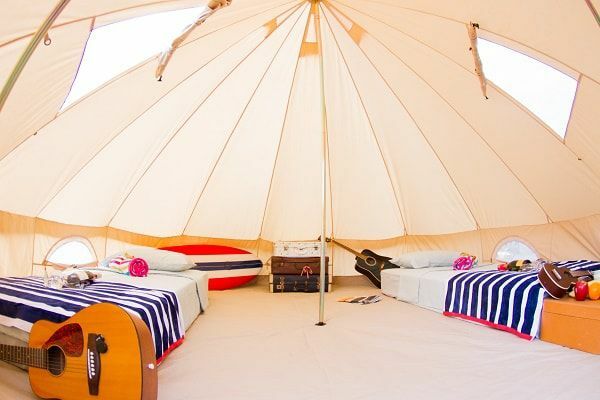 Solo travellers are encouraged to share our spacious bell tents with a maximum of 2 other surf holiday guests. Whilst the thought of sharing a tent with people you’ve not met before may be nerve-racking, your surf roomies will be in a similar situation. At Star Surf Camps, we strive to create a friendly environment where interaction and participation are promoted. 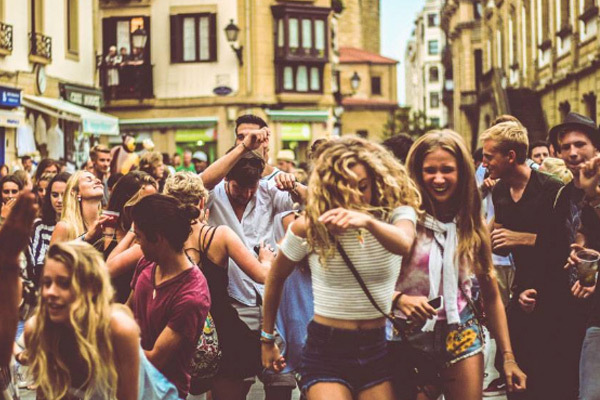 Whilst you might arrive as strangers, you will leave as friends - making great summer memories along the way. We will always plan to put female solo travellers together and the same for male solo travellers. EU passport holders do not require a visa to enter France for tourist purposes. Your passport must be valid for the duration of your stay. If you hold a passport from outside the European Union we strongly recommend that you check with your nearest French Embassy. How old do I need to be to stay at the surf camp in Moliets? 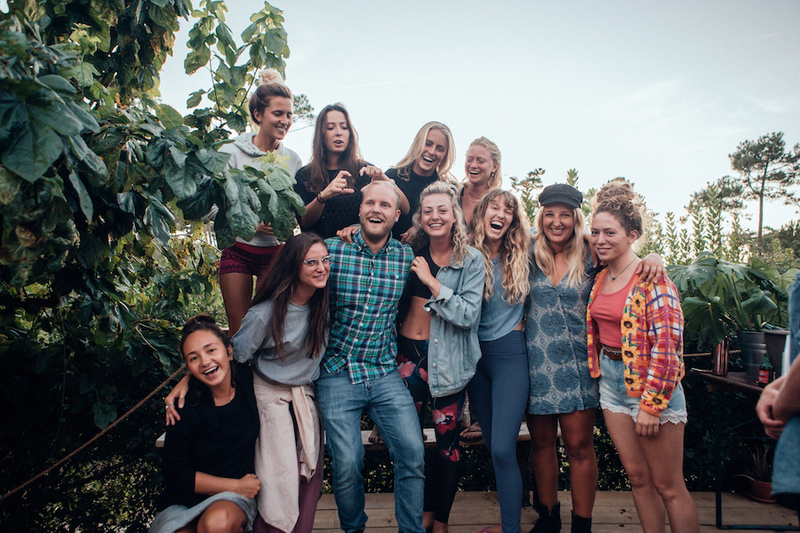 If you're older than 18, love to have fun, chill, party and meet new people from around the world, a surf holiday in our surf camp in Moliets is perfect for you! What is the 'Taxe de Sejour’? France charges a 'Taxe de Sejour’ or tourist tax of 0.66€ per pax/night. This tax is not included in your surf holiday package price and is to be paid in cash upon arrival in the surf camp. Children under 18 are exempt from the tax. Thank you.